Wisconsin is a national leader in organic farming (second only to California in its number of sustainably minded farms), and if you dine out enough in Milwaukee you’ll quickly see that local chefs love to source from these small operations, culling their harvests for unique finds. Once the harvest kicks into gear, many farms invite foodies onto their land for a gourmet multi-course feast that celebrates what’s grown on the property. For a new twist on farm-to-table dining, consider heading straight to the farm. A word of warning: these dinners fill up fast, so don’t take too long to decide or you may have to wait until 2017. This Milwaukee restaurant—in the Walker’s Point neighborhood—hosts a full slate of four-course farm dinners each summer and fall. Details are at this link on the restaurant’s website. All of the dinners ($100 per person) are held on select Saturdays between July 9 and October 8; for the 2016 season there are nine dinners, from a potluck/pig roast/bonfire at Willoway Farm in Fredonia to an urban event at Pete’s Community Farm in Milwaukee, as well as an apple-centric feast at Brightonwoods Orchard in Burlington. 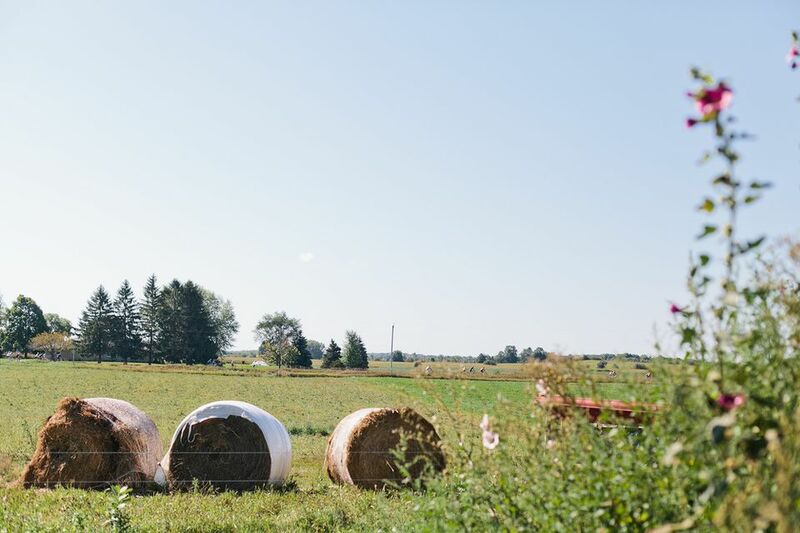 Many of the host farms are partners in sourcing the eatery’s dinner menu, at the hands of chef-owner Dave Swanson, who is credited with starting the country’s first RSA (restaurant-supported agriculture, linking chefs with farmers). Spanning 150 sustainably grown acres, this farm is on the east side of Lake Winnebago. From May through September, a gourmet four-course dinner ($60) is served on the third Thursday night of the month, under the care of chef Tracy Darling, much of the food grown on site. There is also a cash bar for alcoholic beverages. For the 2016 season, owner David Meuer will be cooking at most of the Farm Flavor dinners: “Farm Fresh” (June 16: porketta and house-made chicken sausage with arugula); “Grillin’ & Chillin’” (July 21: grilled whitefish with strawberry-tomato salsa and sweet corn pudding); “Going Whole Hog” (Aug. 18: sausages, pork belly, porketta and spiced ham); and “It’s Harvest Time!” (Sept. 15: confit of local chicken with harvest-vegetable gratin). Each dinner also features a presentation about farming, with a rotating list of topics such as beekeeping. Held several times during the summer of 2016, the 160-year-old family farm’s rustic 70-acre property is transformed into an elegant dining space. Seating is around farm tables in the old barn and the $65 per-person meal cost includes a choice of coffee, wine, beer, lemonade. This year’s dinners are on June 23 (“Meat & Potato Night,” served buffet style), July 21 (“Stone Fired Pizza Night,” personal pizzas prepared in an Italian brick oven in partnership with Flying Cow Pizza Chefs) and Aug. 25 (“Pig Roast Night,” pig roast with fixings like sauerkraut, baked beans and potato salad). Musical entertainment is also provided and each dinner includes fruit pies from Fideler Farms. Pick up tickets at this link. This performing-arts venue (http://www.wilson-center.com) in Brookfield partners with one of the Milwaukee area’s best farm-to-table eateries—Parkside 23—on a feast during the height of the harvest in late August. This year, the dinner is Aug. 31 and the cost is $150 per person, which includes a farm tour and alcoholic beverages, including a welcome cocktail. Hosted at Parkside 23’s on-site farm, the drive to reach the event is quick, but you still get a taste of the farm life. Each course is paired with either beer or wine, and the farmers are on site to answer questions as are beer and wine specialists should you need help developing pairings for your next dinner party. Whether you’re a green thumb or a foodie—or both—this is an annual event not to miss. Held at the former home of architect Frank Lloyd Wright, a structure which he designed, there are three dinners in 2016: June 25 ("Agricultural Landscape," looking at Taliesin's agricultural past, present and future, $125), Aug. 21 ("Natural Landscape," spotlighting the farm's pond restoration, $125) and Oct. 2 ("Cultural Landscape," highlighting the property's apple orchard and apple-pressing, $85). Each meal is a four-course dinner featuring wine and beer pairings, with the vegetables culled from Taliesin Farm and other items from neighboring farmers. There's the option to take a guided hike, too.